Sergey Rachmaninov's All-Night Vigil, also known as the Vespers, is among his most admired works, and it was one of the composer's own favorites, along with The Bells. 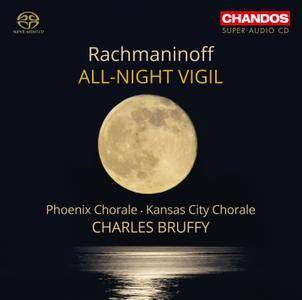 This 2015 Chandos release by Charles Bruffy and the combined voices of the Phoenix Chorale and the Kansas City Chorale presents the music in the super audio format, so the richness of the divisi choral parts and the depth of the basso profundo come across fully in the multichannel reproduction. Bruffy is the musical director of both groups, so his special rapport with them creates an even ensemble blend that balances the largely homophonic textures, and brings a consistency of approach to the three styles of chant Rachmaninov imitated, Kievan, Greek, and Znamenny. The beauty of the a cappella voices and the surprisingly lush harmonies make this setting immediately appealing and ultimately moving, and listeners who enjoy sacred choral music for inspiration or meditation will find the All-Night Vigil's smooth flow and expressive warmth well-suited to those purposes. This version of The Queen of Spades was originally recorded in 1974 and made available as a special import; it was then generally released by Philips in 1988. Reviewing it at the time, AB gave a level account of its strengths, but had little difficulty in preferring the Tchakarov set when it was issued in 1990. 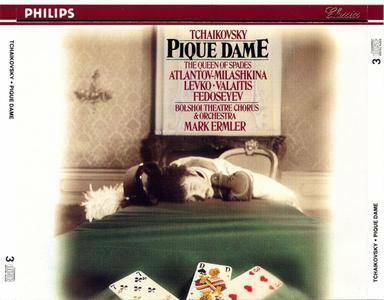 Deleted by Philips, the Ermler performance has now been restored to the Melodiya catalogue. I cannot see anyone dissenting from AB's view: certainly I do not, except perhaps to regard him as being over-generous in his account of Atlantov's Herman in calling it ''loud and unsubtle''. Stronger words would also be appropriate, especially when Atlantov is compared with the sensitive Wieslaw Ochman on the Tchakarov set. Valentina Levko is a good Countess in what is a well-established Russian tradition of responses to the role: AB thought the old lady's reminiscences not so pointedly delivered as by some other singers, and I would add that she would certainly have acquired a better French accent during her long sojourn as the Venus of Paris. When in the first decade of the twentieth century, pioneering Russian creative artists turned to the sun for inspiration, they saw this theme as a symbol of liberation from turn-of-the-century decadence. 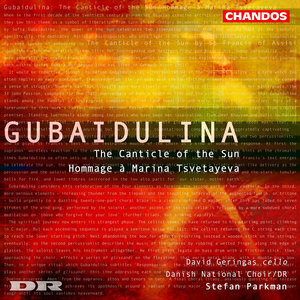 In The Canticle of the Sun the power of the sun celebrates two liberating forces: specifically, the dedicatee, Mstislav Rostropovich, who shed light in the darkness of the later Soviet years (Gubaidulina has even spoken of the work embodying his ‘sunny personality’) and more generally, the spiritual sources which the composer has explored through her own musical journey within and beyond Soviet Russia. The Canticle of the Sun is a response to a text by St Francis of Assisi, in which he humbly glorifies the creator. Gubaidulina, aware that the music should not be ostentatious or complicated, suggests the mysteries of creation and humanity through solo cello and percussion, and places St Francis’s text in the restrained mouths of the choir as a kind of wondering response. The second work on this disc is a setting of five poems by Marina Tsvetayeva for unaccompanied choir. A fascinating programme of song cycles for bass and piano by the great Soviet composer Dmitri Shostakovich. 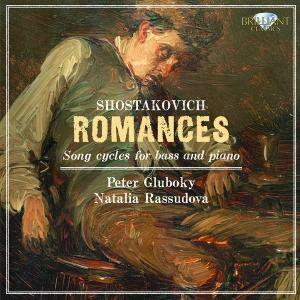 Although the title “Romances” suggest idyllic meandering melodies, Shostakovich constructs several layers of emotions as expressed by the poetry, from innocent beauty to irony and deep despair. Performed with profound understanding by Russian forces. 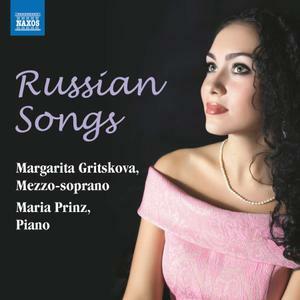 Mezzo-soprano Magdalena Kozena has a lovely, full voice that runs effortlessly up into the soprano range. Barely in her thirties with a camera-ready face, she is also the subject of a great amount of publicity in the classical world, which is luckily justified thanks to her pure and graceful vocal power. I have yet to see her sing live, but if this recording is any indication, she must be quite theatrically charismatic in performance. Granted there are far more highs than lows, I just wish her selection of material on this recording were as immaculate. World premiere expanded CD of Basil Poledouris soundtrack for John McTiernan film from Tom Clancy novel, starring Sean Connery, Alec Baldwin, Scott Glenn, James Earl Jones, Sam Neill. Sensational action-suspense tale is film introduction of Jack Ryan (Baldwin), working with CIA intelligence to determine if Soviet commander piloting nuclear super-sub heads towards U.S. waters to defect… or launch attack. 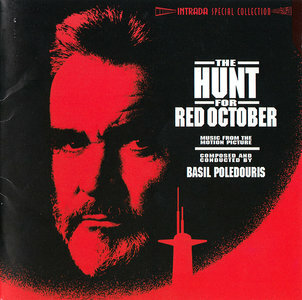 Best of four films featuring Jack Ryan to date, Poledouris brings inspired mood, color to exciting tale by weighing anchor with magnificent, massive "Hymn To Red October" for large orchestra, chorus, then taking off with vivid cues for orchestra, layers of electronics plus his chorus. Score literally provides rhythm, pulse of movie as well as underlines intense action sequences. Interestingly, one of score's few moments of respite comes with reflective "Two Wives", a gentle cue dropped from finished film. Entire score remains one of composer's most important works, and earns it's place as a classic of nineties motion picture music! 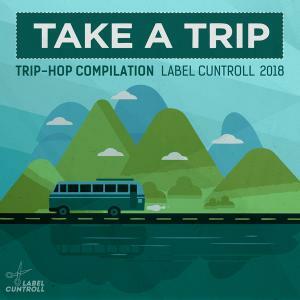 Original MCA label CD was mere 30-minute sampling of score. Intrada CD offers over an hour of masterful music including first release of "End Title" given significance in one point by powerful presentation of main hymn melody via orchestra sans choir in dynamic manner. 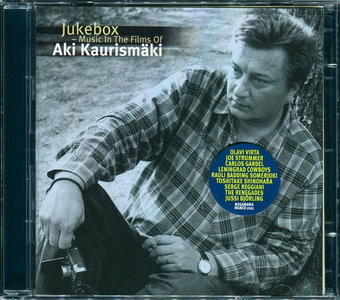 The rules of the game were clear when the credits for the soundtrack of Aki Kaurismäki's debut film Crime and Punishment gave the names Franz Schubert, Dmitri Shostakovich, Olavi Virta, the Renegades, Harri Marstio and Billie Holiday. Dostoevskian to say the least! Added to these as Kaurismaki’s career progressed were Tchaikovsky (the Pathetique Symphony a dozen or so times! ), Shostakovich, Chuck Berry, the great Estonian Georg Ots, rhythm & blues, Finnish rock’n’roll (Melrose, with Tokela in the vocal lead), Jussi Bjorling, and Toshitake Shinohara - the Japanese composer of a host of beautiful scores now settled permanently in Karkkila, home of Kaurismäki himself. Not all are familiar to a non-Finnish audience. Yet Finn and foreigner, familiar and unfamiliar are as such one seamless entity, their associations equally fascinating. The director himself says he grabs armfuls of discs off his shelf at home before setting off for the editing room. Acclaimed throughout the world's great opera houses, American soprano Renee Fleming enjoys particular success in roles from the late 19th and early 20th centuries, when glorious vocal writing and opulent orchestrations took the art of opera to new heights. In studying and performing this passionately lyrical music, Fleming became increasingly fascinated with her predecessors-sopranos of a golden age who made this intensely emotional music their own. 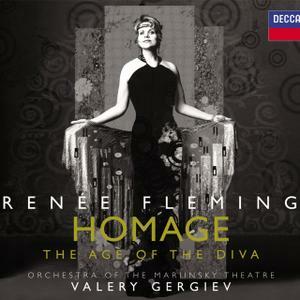 Homage: The age of the Diva is a tribute to these iconic sopranos and their signature arias. 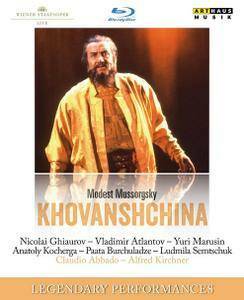 Among his contemporary countrymen, the Russian Alexander Mosolov certainly underwent one of the most individual developments. 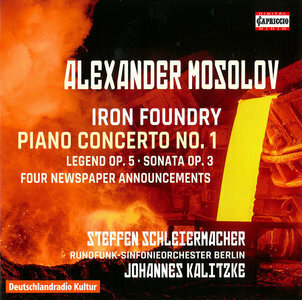 However unknown most of his compositions have remained both in the Soviet Union and abroad, a single piece has ensured that his name has stayed lastingly present the Iron Foundry from the ballet 'Steel' (1926/27). It clearly ran contrary to the demands of 'Socialist Realism' gradually becoming established in the post-revolutionary Soviet Union and finally declared the official dogma by the authorities in 1932. Whereas the state demanded a kind of music that was easy to receive and could be directly accepted by broad sections of the population, some young composers saw themselves facing the challenge of keeping pace with the international avant-garde and adding a separate Russian and Soviet form. 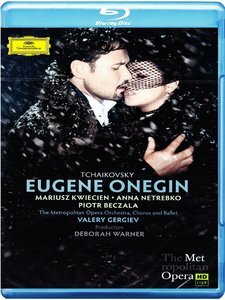 Redesigned since it was first seen at the London Coliseum in 2011, Deborah Warner’s elegant and untricksy production of Tchaikovsky’s lyrical romance transferred last autumn to the Metropolitan Opera. Offering as it does a beautifully detailed and sensitively characterised reading of the piece, Chekhovian in atmosphere and period, it merits a warmer critical reception than it has received on either side of the Atlantic. Born in Bulgaria, Graziela Valceva Fierro graduated as an opera singer at the Sofia Music Academy, a Master in the High School of Music in Lausanne and perfected at the Academy Boris Christoff in Rome with the bass Nicola Ghiuselev. At 23 years old, she began in Sofia with the role of Prince Orlofsky (Die Fledermaus by Strauss) directed by Plamen Kartalov and under the direction of Jost Meier. Then she was hired at the Sofia’s Musical Theatre. In 1997 she made a grand entrance to the theater in the mythical role of the Widow of “Zorba the Greek”, including at the Theatre of Jorat in Switzerland. During the 2006-07 season, she integrated the soloist troupe of the Lausanne Opera House. World première recordings of works by John Tavener, Arvo Pärt, Valentin Silvestrov and Alexander Knaifel sit alongside pieces by Henryk Górecki and John Cage on the first recording from a new Irish label operated by noted concert promoters Louth Contemporary Music Society (LCMS). All of these very popular contemporary composers have in various ways been deeply influenced by profound spiritual, religious or cultural encounters, and the disc celebrates them in a moving, magical programme. 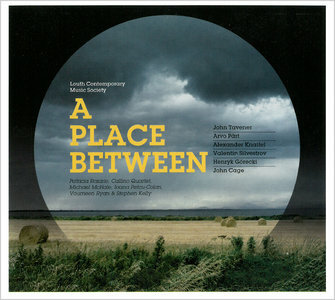 A Place Between intersperses - to wonderful effect - beautiful works for string quartet (Silvestrov's meditative Ikon, Tavener's deeply moving Ikon of Joy/Sorrow, Pärt's reflective Da Pacem Domine) with two solo piano works (Pärt's uplifting Hymn to a Great City, and Cage’s melodic and expressive In a Landscape). Górecki's memorial for Michael Vyner, Good Night and Knaifel’s mystical O Heavenly King both feature the haunting voice of soprano Patricia Rozario. Silvestrov's 25.X.1893 lullaby is a melancholic and lyrical piece for violin and piano.